With the indoor season here, it becomes the perfect time to freshen up those tabletops for entertaining, new decorating and just having dining fun while creating a new atmosphere. There is no need to spend money – just use what you have! Go shopping in your own areas. You’d be surprised how simple cleaning and a change of surfaces can encourage you through these cold days. 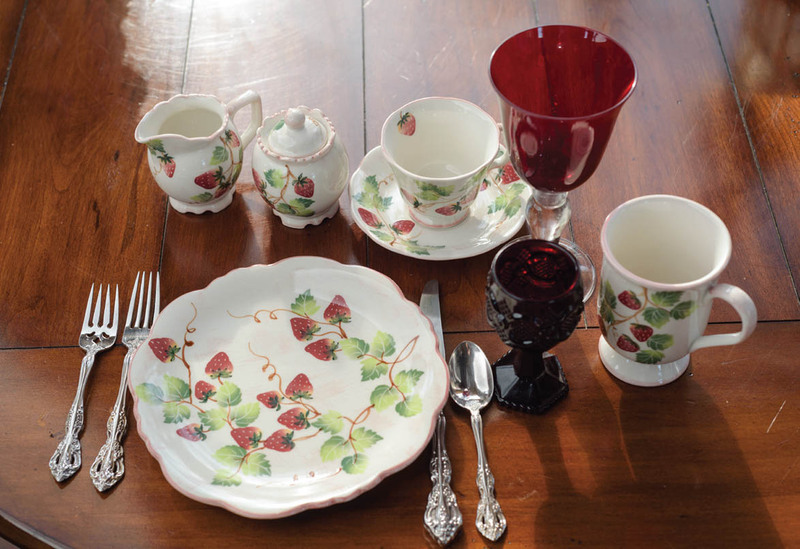 At our home, we begin restoring all table tops by going “shopping” in the pantries, closets, garage, attic – anywhere we can locate some forgotten treasures or memorabilia to replace on the tired bookshelves, end tables, buffets and dining spaces. It really doesn’t take that long to refresh these areas with the “everything old is new again” attitude. We start in one room – finish that one before destroying another one – and change whatever we wish. During the winter months, we enjoy seeing wood finishes and cleaned off surfaces – dark baskets and wooden pieces, pottery and china. We’ve been known to change around lamps, giving a different aura to a certain location. “Someone’s trash is someone’s treasure” as the old saying goes. Pull out those trays, change photographs and liven up things with bowls of fresh fruit. Your imagination is the only limit to what you can do! We have come from the holidays where many of us tend to over decorate. It’s nice just to see the pieces of furniture again. Change the accent pillow, or leave them stored until spring. Fold away those “throws” or lap blankets except for that one special afghan or lap blanket that is as much of a friend as that old pair of jeans. All of these will be there when it’s time to change again. Be brave. Be empowered. Embrace change. Shown are some fun ways to change things along with some recipes for your enjoyment during February and March. When you have given everything a new “perk” for the winter, send me an email. I’ll stop over and admire. Mix all ingredients together. Put in greased and floured loaf or muffin pans. Sprinkle with sliced almonds. For two loaves, bake 40 to 45 minutes at 350 degrees. For 24 muffins, bake for 24 minutes. Mix all ingredients. Pour over loaf or muffins and bake for an additional 5 minutes. Bring lentils to a boil in 1 1/2 quarts of salted water, to which onion and bay leaf have been added. Simmer until just tender. Drain. Remove bay leaf and onion. Fry bacon until crisp. Drain off excess fat. Sauté onions and garlic cloves in remaining fat. Add drained lentils. Toss and season with salt, pepper and parsley. In a greased jelly roll pan, combine popcorn, nuts and coconut. Set aside. In a saucepan, combine brown sugar, butter and corn syrup. Cook and stir over medium heat to boiling. Boil 5 minutes without stirring. Remove from heat; add vanilla and baking soda, stirring constantly. Pour over popcorn mixture; stir well. Bake at 250 degrees for 45 minutes, stirring every 15 minutes. Remove from the oven. Place on waxed paper to cool. Break apart; store in airtight containers or plastic bags. In a 2-cup glass measure, heat milk and espresso powder in a microwave oven on high for 2 to 2 1/2 minutes, or until boiling. Whisk in chocolate, cocoa mix, brandy and liqueur until well mixed. Pour into a mug or stemmed glass. Garnish with whipped cream and serve immediately.